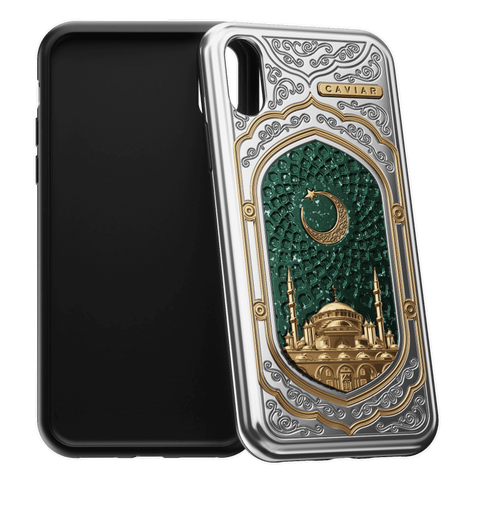 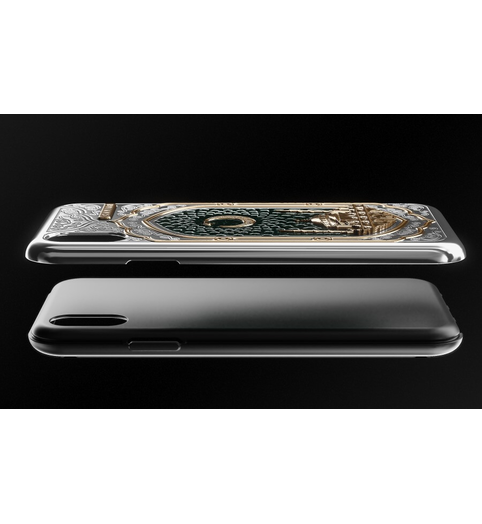 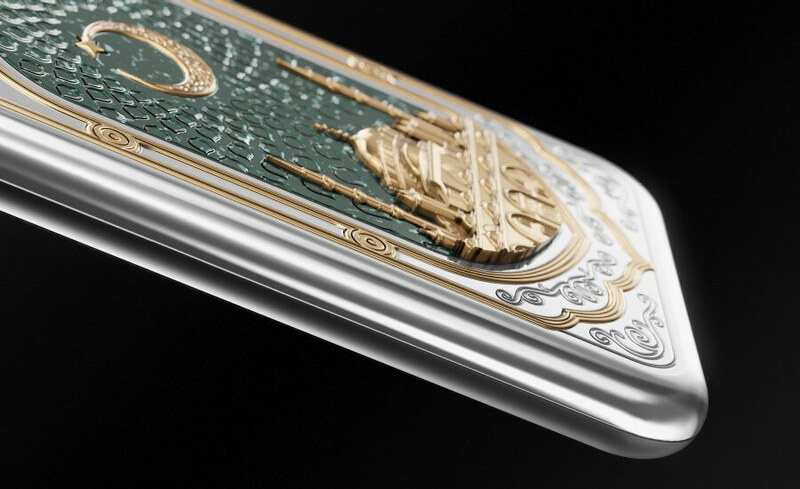 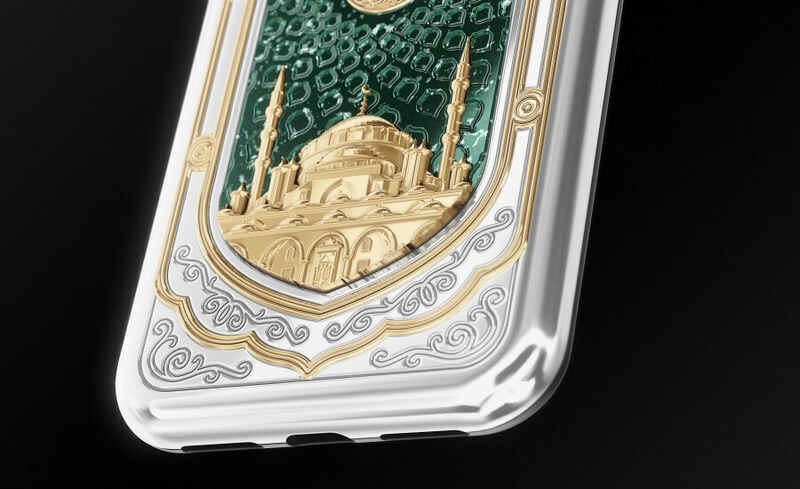 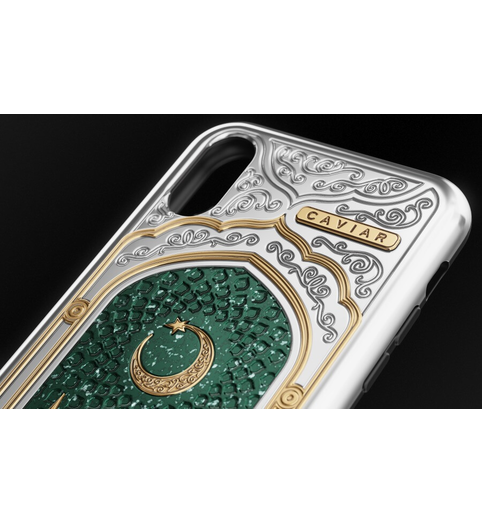 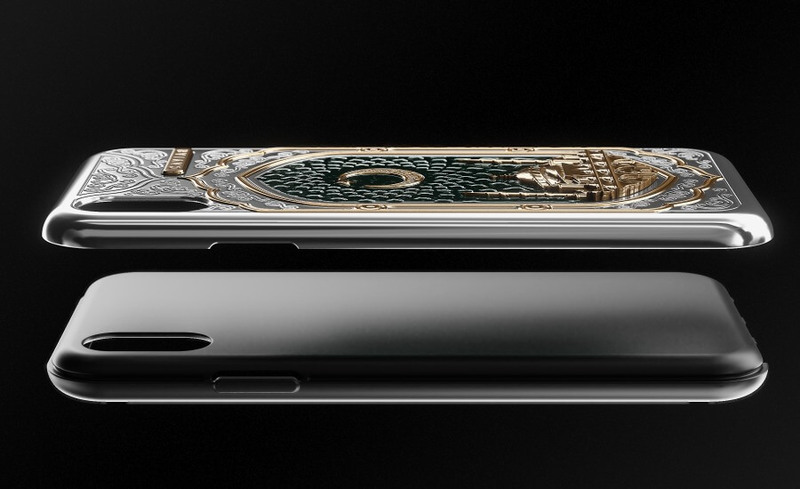 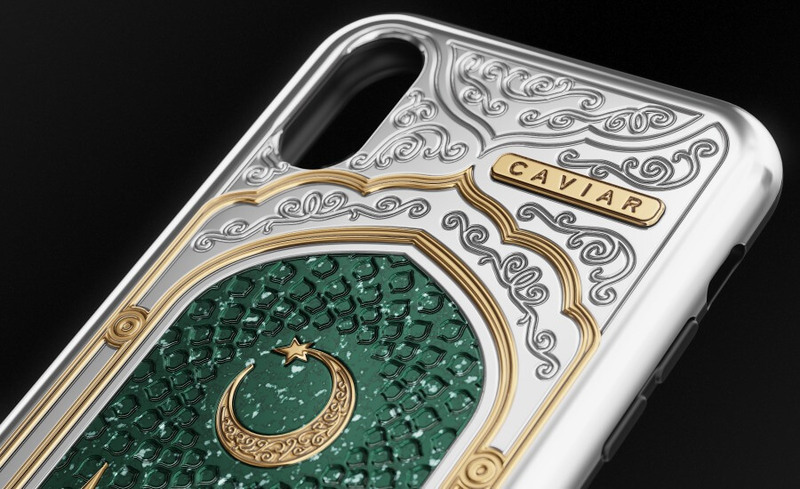 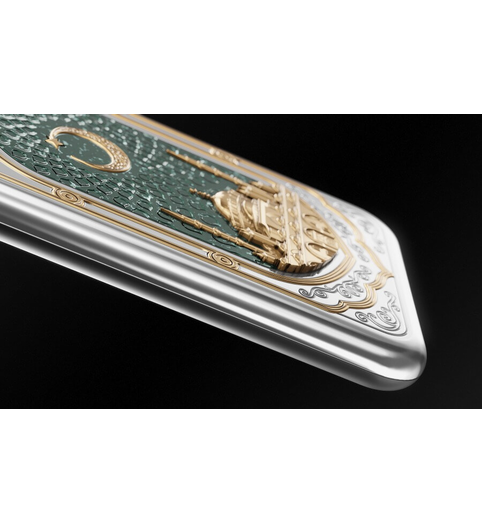 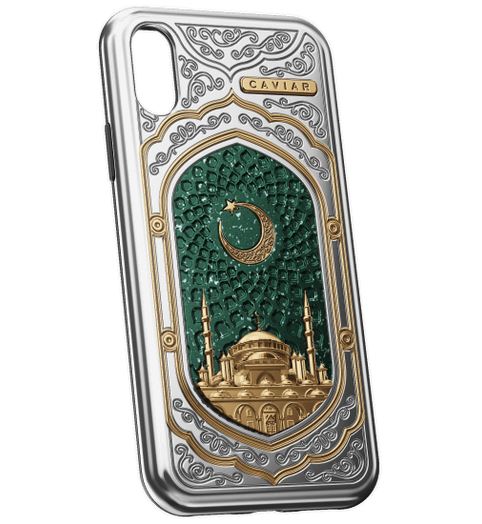 Case iPhone X Credo Mecca Fabulously picturesque, elegant and sublime design dedicated to the faith of Islam, is performed in the harmonious combination of numerous materials – these are white, yellow gold-plating and the composite stone of the golden shade traditional for the Islamic culture. 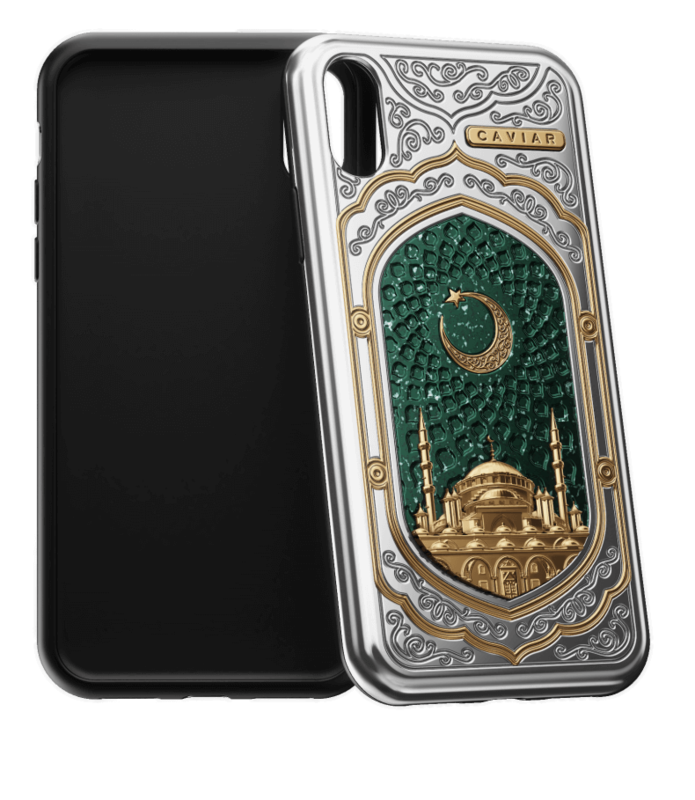 In the middle of the composition there is the dome and minarets of the mosque in Mecca and above them there is the half-moon with a star. 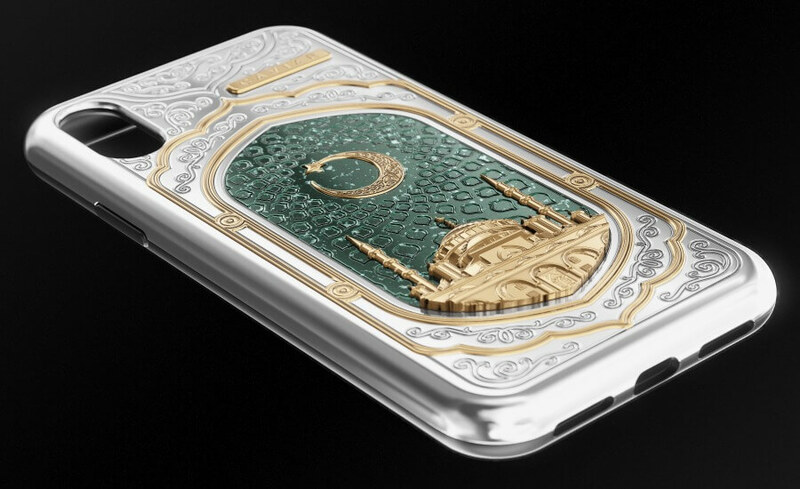 The fine, harmonious and exquisite design of this case can really be admired and we believe that it will be a delight for its owner’s eyes causing the most sublime feelings in him. 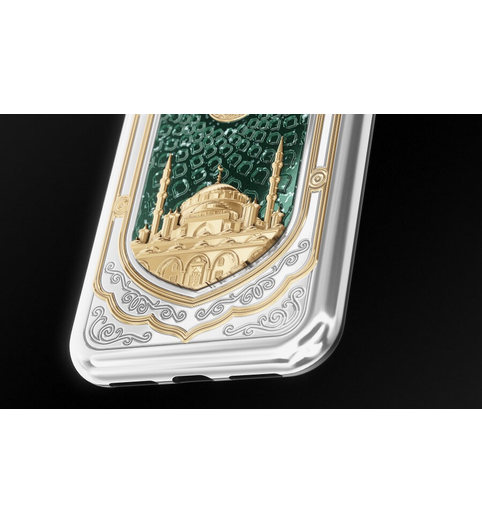 Fabulously picturesque, elegant and sublime design dedicated to the faith of Islam, is performed in the harmonious combination of numerous materials – these are white, yellow gold-plating and the composite stone of the golden shade traditional for the Islamic culture. 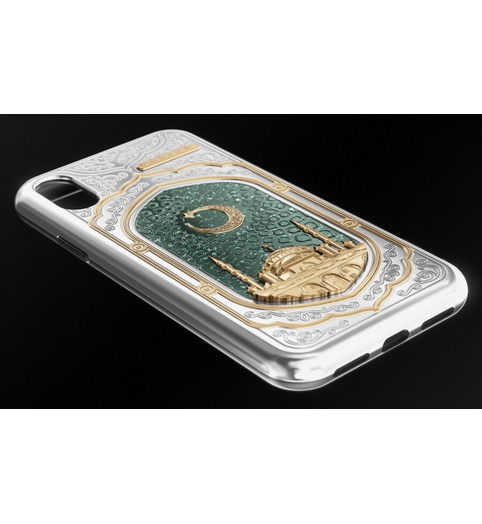 In the middle of the composition there is the dome and minarets of the mosque in Mecca and above them there is the half-moon with a star. 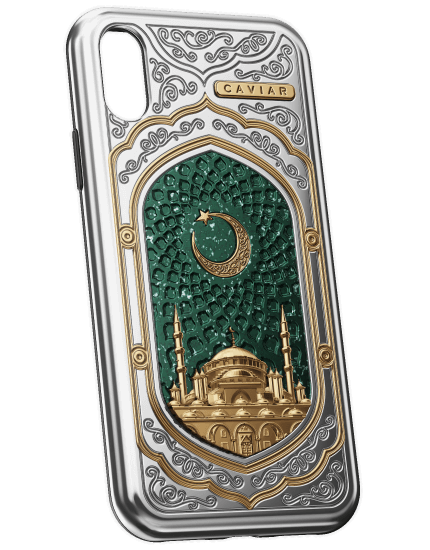 The fine, harmonious and exquisite design of this case can really be admired and we believe that it will be a delight for its owner’s eyes causing the most sublime feelings in him.